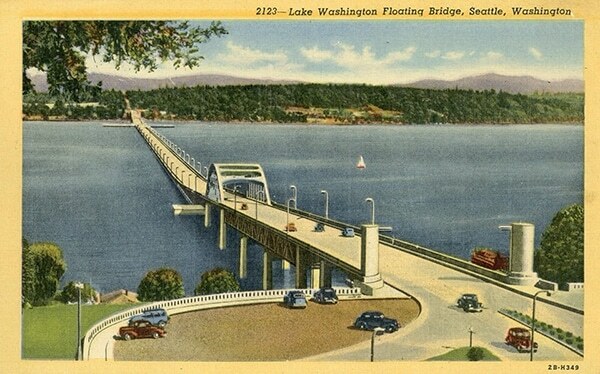 A vintage postcard shows the “Lake Washington Floating Bridge” as it appeared when it opened in 1940. Its construction began New Year’s Day 1939 and cost an estimated $9 million. 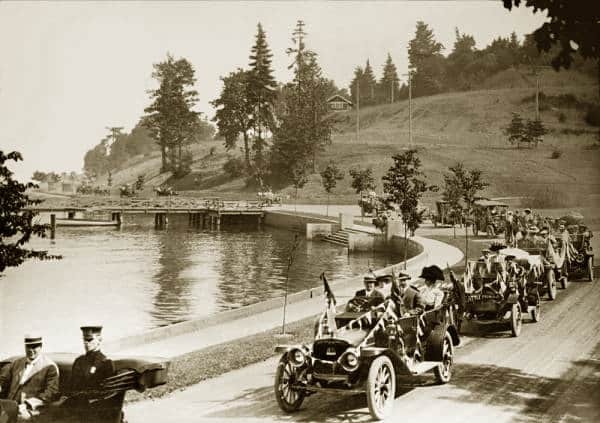 Thanks to Seattle Then & Now for posting this century old image. To read more on this and others, visit the page.